Blue Star Recyclers – New Location & Wish List – That's Natural! 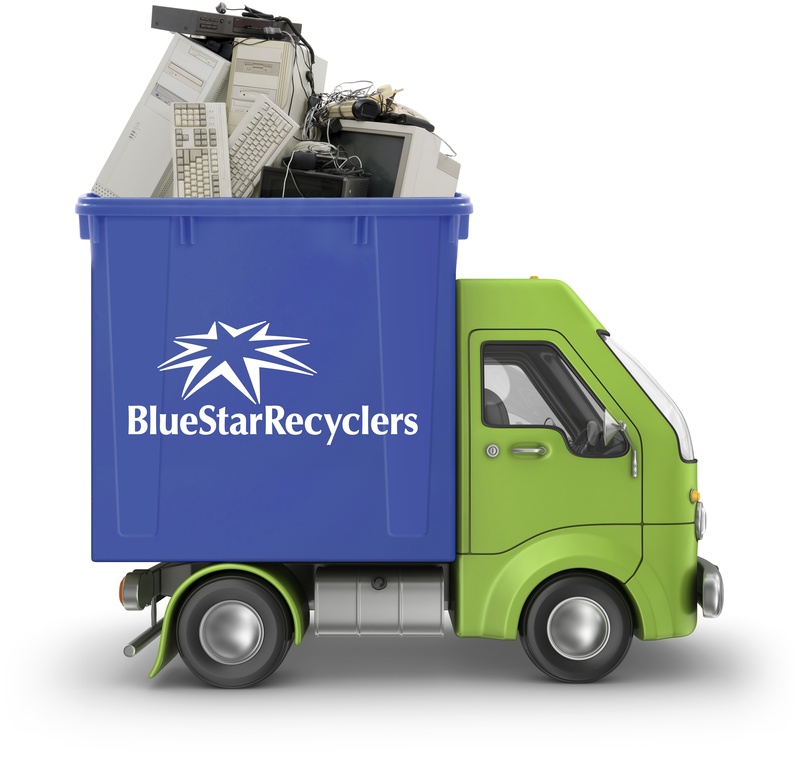 Blue Star Recyclers is moving! After a year-long search, and with the help of Nick Steitz (our VERY patient and persistent agent with CBRE), we found a facility in our current zip code that meets our needs and fits our budget. Moving will begin at the end of July, and we plan to be open for business at the new place on Monday, August 6th,. Many thanks to the individual donors and foundations who gave to our relocation project fund. Without their support this much-needed move would not have been possible. This new space will enable us to accommodate and process more electronics for ethical recycling – AND create more local jobs for people with disAbilities. We’ve identified some items (listed below) needed for our operations at the new facility. If you have any of these items to donate, or would like to make a cash donation toward the purchase of these items, please contact Laura Chickering at 464-4285 or laura@bluestarrecyclers.com . All in-kind and cash donations are tax-deductible. Thanks again for all your support. We look forward to seeing you soon at our new location, so keep an eye out for your invitation to our open house in September. Or just drop by after the 6th of August and say “howdy”. The new address is – 100 Talamine Court, Colorado Springs, CO 80907. (Just off N. Cascade Avenue – north of Fillmore).